A Review of Darin Weinberg's "Contemporary Social Constructionism: Key Themes"
From Inside Higher Ed, Scott McLemee reviews Darin Weinberg's Contemporary Social Constructionism: Key Themes (Temple UP; April, 2014). According to McLemee, social construction is a "loose, baggy monster,"a concept stretched so far it has lost its value. Contemporary Social Constructionism illuminates how constructionist social science developed in relation to positivism, critical and hermeneutic philosophy, and feminism and then goes on to distinguish the concept from postmodernism and deconstructionism. In addition, Weinberg shows how social constructionists have contributed to our understanding of biology, the body, self-knowledge, and social problems. You can read an excerpt from Chapter 1 (pdf). Like a t-shirt that used to say something you can’t quite read anymore, a piece of terminology will sometimes grow so faded, or be worn so thin, that retiring it seems long overdue. The threadbare expression “socially constructed” is one of them. It’s amazing the thing hasn’t disintegrated already. In its protypical form -- as formulated in the late 1920s, in the aphorism known as the Thomas theorem – the idea was bright and shapely enough: “If men define situations as real, they are real in their consequences.” In a culture that regards the ghosts of dead ancestors as full members of the family, it’s necessary to take appropriate actions not to offend them; they will have a place at the table. Arguments about the socially constructed nature of reality generalize the Thomas theorem more broadly: we have access to the world only through the beliefs, concepts, categories, and patterns of behavior established by the society in which we live. Fortunately the experiment is not often performed. The counterargument from gravity is hardly so airtight as its makers like to think, however. The Thomas theorem holds that imaginary causes can have real effects, But that hardly implies that reality is just a product of the imagination. And as for gravity -- yes, of course it is “constructed.” The observation that things fall to the ground is several orders of abstraction less than a scientific concept. Newton’s development of the inverse square law of attraction, its confirmation by experiment, and the idea’s diffusion among the non-scientific public – these all involved institutions and processes that are ultimately social in nature. Isn’t that obvious? So it seems to me. But it also means that everything counts as socially constructed, if seen from a certain angle, which may not count as a contribution to knowledge. Such hearty enthusiasm for throwing his humanistic colleagues under the bus is difficult to gainsay, even when one doubts that a theoretical approach to art or literature also needs to be “helpful when it comes to designing, implementing, and debating the merits of empirically grounded social scientific research projects.” Such criticisms are not meant to be definitive of Weinberg’s project. A sentence like “Derrida sought to use ‘deconstruction’ to demonstrate how specific readings of texts require specific contextualizations of them” is evidence chiefly of the author’s willingness to hazard a guess. But this positive program is rarely in evidence so much as Weinberg’s effort to close off “the social” as something that must not and cannot be determined by anything outside itself – the biological, psychological, economic, or ecological domains, for example. “The social” becomes a kind of demiurge: constituting the world, then somehow transcending its manifestations. It left this reader with the sense of witnessing a disciplinary turf war, extended to almost cosmological dimensions. The idea of social construction is a big one, for sure. But even an XXL can only be stretched just so far before it turns baggy and formless -- and stays that way for good. Does Awareness Continue After Clinical Death? A new study claims to demonstrate that it can and does continue for up to three minutes after the brain stops functioning. George Dvorsky believes that the 2% of study participants who had something similar to a traditional NDE are the interesting piece of this study. But not so much. Of those interviewed, 46% experienced a broad range of mental recollections that were incompatible with what we consider to be true NDEs, including fearful and persecutory experiences. Only 9% had experiences compatible with NDEs and a scant 2% exhibited full awareness compatible with OBE's with explicit recall of seeing and hearing events. I'm curious about the 46% who had negative experiences. Why are these automatically discounted as not being NDEs? Perhaps the 46% is a more accurate experience than the 2%. The biggest ever scientific study of near-death experiences shows that awareness can continue for a surprisingly long duration after the brain has shut down completely. The finding suggests that these experiences are more than just hallucinations — and that our definition of clinical death should probably be revised. Near-death experiences (NDEs) and out-of-body experiences (OBEs) have long been documented. They're particularly common among people who have suffered a cardiac arrest (CA). First responders or physicians are told to make a declaration of death when, after a variable length of time, there's no cardiac output, no respirations, and the pupils have become fixed and dilated. But in those very early stages after a CA, when cerebral blood flow and electrical brain activity are impaired or null, some people experience a wide range of subjective phenomenon. 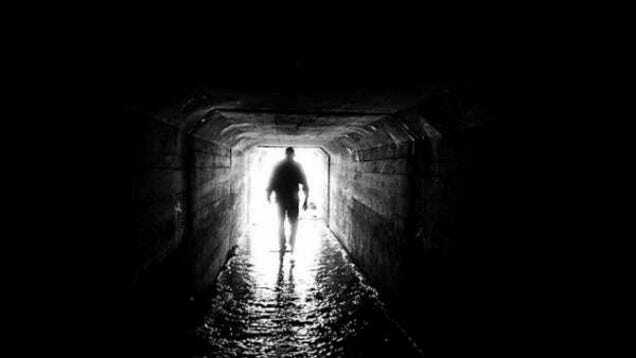 Survivors talk about "seeing a tunnel," a "mystical being," "feelings of peace," a feeling of separation from their bodies, and awareness of things during the episode or event. Normally, these accounts are cast aside as being hallucinations or illusions, and that they're not really indicative of true conscious awareness. But to date, objective and scientific studies have been extremely limited. In an effort to correct this, the University of Southampton's Sam Parnia examined the broad range of mental experiences as they occurred around death-like states. And fascinatingly, he also tested the validity of conscious experiences by using objective markers to see if claims of awareness with OBEs actually meshed with real or hallucinatory events. His findings show that these experiences are real and that they should be taken much more seriously, especially by scientists. And remarkably, he showed that a fraction of patients can experience real events for up to three minutes after brain activity has stopped — which was thought impossible — and that they could recall them accurately once they had been resuscitated. Parnia and his team studied 2,060 CA patients as part of the international AWARE (AWAreness during REsuscitation) study. Of them, 330 survived — of which 140 (or 42.4%) said they had experienced some kind of awareness while being resuscitated. Of the survivors, 39% were able to undergo structured interviews. Interestingly, most of them did not have any explicit recall of events, suggesting that more people have mental activity but then lose their memories after recovery (i.e. due to the effects of brain injury or sedatives). Dr Parnia concluded: "This is significant, since it has often been assumed that experiences in relation to death are likely hallucinations or illusions, occurring either before the heart stops or after the heart has been successfully restarted, but not an experience corresponding with 'real' events when the heart isn't beating. In this case, consciousness and awareness appeared to occur during a three-minute period when there was no heartbeat. This is paradoxical, since the brain typically ceases functioning within 20-30 seconds of the heart stopping and doesn't resume again until the heart has been restarted. Furthermore, the detailed recollections of visual awareness in this case were consistent with verified events. As noted, this study strongly suggests that we need to re-think conventional notions and definitions of death. Contrary to perception, death is not a specific moment but a potentially reversible process that occurs after any severe illness or accident causes the heart, lungs and brain to cease functioning. If attempts are made to reverse this process, it is referred to as 'cardiac arrest'; however, if these attempts do not succeed it is called 'death'. In this study we wanted to go beyond the emotionally charged yet poorly defined term of NDEs to explore objectively what happens when we die. The phrase "a potentially reversible process" jibes well with burgeoning definitions of death — definitions that consider factors other than a heartbeat and electrical brain activity. Cryonicists, for example, refer to "information theoretic brain death" — the notion that death does not occur until all the information in your brain that's required to resuscitate you (or reanimate you) is irrevocably destroyed. Less conceptually, Parnia's paper suggests that we should push the boundary as it pertains to the declaration of death in consideration of novel interventions, like cold stasis, that may bring people back in the precious moments following a cardiac arrest. Read the entire study at Resuscitation: "AWAREness during CPR: Be careful with what you say!". This was last week's episode of the All in the Mind podcast from Radio National (ABC) in Australia. As part of Mental Health Week, we discuss some of the intensive research efforts trying to uncover the mysteries of the devastating brain disease of schizophrenia. From Sounds True, Tami Simon interviews Brené Brown about the courage to be vulnerable - an Insights from the Edge episode from 1/29/2013. Good stuff. Brown is the author of several best-selling books, including Daring Greatly: How the Courage to Be Vulnerable Transforms the Way We Live, Love, Parent, and Lead, The Gifts of Imperfection: Let Go of Who You Think You're Supposed to Be and Embrace Who You Are, and I Thought It Was Just Me (but it isn't): Making the Journey from "What Will People Think?" to "I Am Enough". 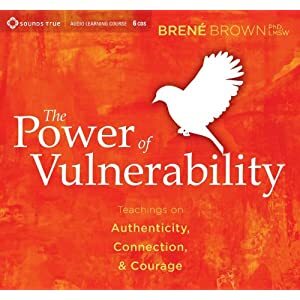 With Sounds True, Brown has recorded several teachings, including The Power of Vulnerability: Teachings on Authenticity, Courage, and Connection, Men, Women, and Worthiness: The Experience of Shame and the Power of Being Enough, and The Gifts of Imperfect Parenting: Raising Children with Courage, Compassion, and Connection. The Power of Vulnerability on SoundsTrue. #IATE: Insights At The Edge, is Tami Simon's in-depth audio podcast filled with interviews of leading spiritual teachers and luminaries. Listen in as they explore their latest challenges and breakthroughs—the "leading edge" of their work. Use code TWDM11 at checkout, one-time use per account. American's do not trust each other. A recent survey found that, compared to 46% in the 1970s, now only 33% believe they can trust their fellow citizens (in general). Distrust of the media has risen from 16% in the 1970s to nearly 48% today. The whole study is paywalled, of course, but Pacific Standard offers a brief summary. Trust in others and confidence in institutions is declining, while economic inequality creeps up, a new study shows. Trust is on the decline in America. Between 1972 and 2012 Americans became less trusting of and less confident in not only government and the media, but also churches, doctors, business, and each other. And, according to a new report, increasing income inequality may be to blame. Political scientists and sociologists have long wondered how, why, and even whether trust in government and other institutions changes over time. One theory, still taught today, is that the dramatic process of entering adulthood shapes a person’s social and political traits in a lasting way. Thus, citizens born during the Great Depression tend to embrace a more frugal lifestyle and often the welfare state as well, or so the theory goes. Scholars have argued more recently that traits like being frugal or trusting government are a matter of the zeitgeist, or perhaps a matter of one’s age. Whichever is true, questions remain. If it’s the times that affects trust, what is it about a particular period that makes people more or less willing to believe what others say? Separating out the effects of age, birth year—cohort, it’s usually called—and survey year, it became clear that trust in others and confidence in institutions declined because of the times we were and are living in. To sort it out, psychologists Jean Twenge, Keith Campbell, and Nathan Carter looked to data from the General Social Survey, or GSS, which since the 1970s has asked a total of 37,493 Americans questions about just about everything, including a range of questions about trust and confidence in other people and groups. In the early ’70s, 46 percent of Americans agreed that “most people can be trusted,” as the GSS posed the question. Between 2010 and 2012, however, those surveyed agreed with that statement just 33 percent of the time. Confidence declined by a similar amount. Only 16 percent of GSS respondents responded that they had “hardly any” confidence in the press when surveyed between 1972 and 1974, but that number nearly tripled by the 2010-12 survey. More interesting than the raw numbers is the deeper story that the data tell. Separating out the effects of age, birth year—cohort, it’s usually called—and survey year, it became clear that trust in others and confidence in institutions declined because of the times we were and are living in. Cohort had some effects on confidence, and trust increased with age, but the data indicated something about the zeitgeist was powering the decline in trust and confidence. That something, the team argues, is the economy. Greater income inequality, the team found, was correlated with lower trust in others, while greater poverty, more violent crime, and an improving stock market were linked with less confidence in institutions. “I really think it will take a concerted effort for collaboration across economics and psychology to get a handle on how psychological states impact economies and vice versa,” Carter says. Nathan Collins studied astrophysics and political science before realizing he wanted to learn about all of the science without worrying about tenure. In his second life as a freelance science writer, he’s written for Scientific American, New Scientist, and others. In 2001, the LA Times wrote about the emergence of a new salon culture in Los Angeles, frequented by writers, filmmakers, and actors. This phenomenon is the re-emergence of a salon culture, which began originally in the 16the century in Italy, but is most often associated with the 17th and 18th century literary culture of France. The modern salon formally emerged in New York during the early 20th century. Edith Wharton, who loathed the American literary scene and resettled in Paris in 1907, likely attended the intellectual gatherings hosted by her sister-in-law, Mary Cadwalader Jones, on East 11th Street. In 1900, Jones gained national prominence championing the role of nurses in public health, fiercely arguing for the professionalization of a traditionally female vocation. She enjoyed intellectual life and hosted "Mary Cadwal's parlor” at which many leading intellectual lights of the day were regulars, including the writers Henry James, Henry Adams and F. Marion Crawford, the painters John LaFarge and John Singer Sargent, and the sculptor Augustus Saint-Gaudens. However, it was Mabel Dodge’s famous “Evenings,” hosted at her townhouse at 23 Fifth Avenue during the 1910s, that made salons part of the city’s social life. Dodge was a classic Gilded Age “poor little rich girl,” a spoiled dilettante and libertine who, until she found her calling, attached herself to the latest fad and male celebrity. In 1913 she helped organize the controversial International Show of Modern Art, popularly known as the Armory Show, which launched modern art in America. That same year, she joined John Reed, “Big Bill” Hayward and Emma Goldman in support of the IWW-backed silk workers strike in Paterson, NJ, playing a leading role organizing the controversial, “Pageant of the Paterson Strike,” held at Madison Square Garden. Dodge’s salons were organized along the lines of the traditional discussion-group format known as the General Conversation. An appointed leader, normally a specialist in an artistic, academic or political subject, offered a brief introductory commentary focusing the discussion and then invited those in attendance to jump into the discussion. Salon leaders ranged from A. A. Brill on Sigmund Freud and psychoanalysis, Reed on Pancho Villa and the Mexican Revolution, Margaret Sanger on birth control and women’s rights and even African-American entertainers from Harlem. I wish there were something like this in Tucson today. It would be awesome to meet up with a group of intelligent and educated people to exchange ideas, explore new topics, and generally hear new ideas or new perspectives. I said this out loud the other night, so my girlfriend immediately mentioned to a friend on Facebook, and he and his wife like the idea, so maybe it will happen. 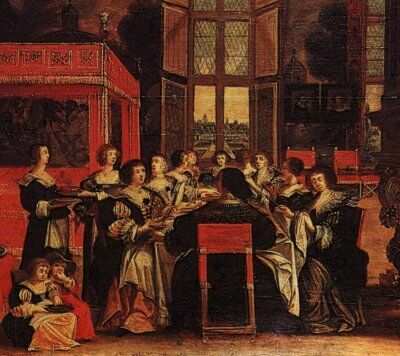 And as tradition holds, the salon is often hosted by a female, the Salonnière. The article below is about one of the major ongoing salons in the 20th-21st century - the Edge Salons hosted by John Brockman. Despite their intense scientific depth, John Brockman runs these gatherings with the cool of an old school bohemian. A lot of these meetings indeed mark the beginning of a new phase in science history. One such example was a few years back, when he brought together the luminaries on behavioral economics, just before the financial crisis plunged mainstream economics into a massive identity crisis. Or the meeting of researchers on the new science of morality, when it was noted that the widening political divides were signs of the disintegration of American society. Organizing these gatherings over summer weekends at his country farm he assumes a role that actually dates from the 17th and 18th century, when the ladies of the big salons held morning and evening meetings in their living rooms under the guise of sociability, while they were actually fostering the convergence of the key ideas of the Enlightenment. The Salon was the engine of enlightenment. Now it's coming back. In the digital era the question might be different from the ones in the European cities of the 17th century. The rules are the same. Why is there such a great desire to spend some hours with likeminded peers in this age of the internet? by Andrian Kreye, Editor, The Feuilleton (Arts & Essays), Süddeutsche Zeitung, Munich. 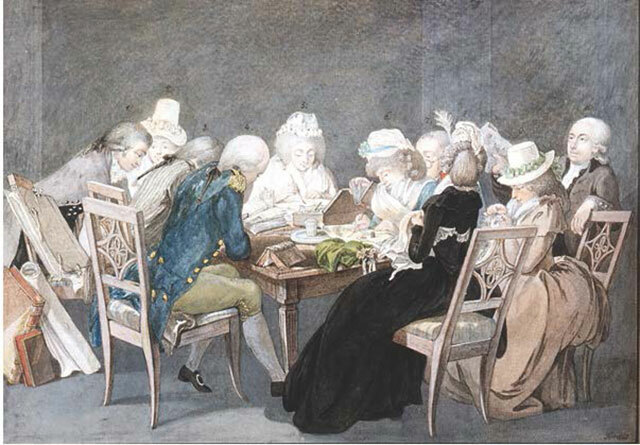 The salon, which marked a entire era: Duchess Anna Amalia of Saxe-Weimar with her guests, including Goethe (third from left) and Herder (far right). For more than a century now the salon as a gathering to exchange ideas has been a footnote of the history of ideas. With the advent of truly mass media this exchange had first been democratized, then in rapid and parallel changes diluted, radicalized, toned down, turned up, upside and down again. It has only been recently that a longing emerged for those afternoons in the grand suites of the socialites in the Paris, Vienna, Berlin or Weimar of centuries past, where streams of thought turned into tides of history, where refined social gatherings of the cultured elites became the engine of the Enlightenment. Just like back then, today's new salons are mostly exclusive if not closed circles. If you do happen to be invited though you will swiftly notice the intellectual force of those gatherings. On a summer's day on Eastover Farm in Connecticut for example, in the middle of green rolling hills with horse paddocks and orchards under the sunny skies of New England. This is where New York literary agent John Brockman spends his weekends. Once a year, he invites a small group of scientists, artists and intellectuals who form the backbone of what is called the Third Culture. Which is less of a new culture, but a new form of debate across all disciplines traditionally divided into the humanities and the natural sciences, i.e., the first and second culture. On that weekend, for example, he had invited a half-dozen men. Each of whom had a large footprint in their respective disciplines: the gene researcher Craig Venter, who was the first to sequence the human genome; his colleague George Church, Robert Shapiro, who explored the chemistry of DNA, the astronomer Dimitar Sasselov, quantum physicist Seth Lloyd, and the physicist Freeman Dyson, who sees in his his role as scientist the need to continually question universally accepted truths. A few science writers were also present, along with Deborah Triesman, literary editor at the New Yorker. At some of his other meetings, the number of Nobel Laureates might have been higher, but the question under discussion in the warm summer wind among rustling tops of maple trees with jugs full of freshly made lemonade, carried utmost weight: "What is life?" Seth Lloyd formulated the problem right at the start: science knows everything about the origin of the universe, but almost nothing about the origin of life. Without this knowledge, the sciences, on the threshold of the biological age, are groping in the dark. Brockman had deliberately chosen the invited scientists as representatives of different fields, who, for years, had understood the need to think across the scientific disciplines. But even then, you could feel like an outsider, as was the case when Robert Shapiro made a joke about ribonucleic acids, which was greeted with boisterous laughter by the scientists. 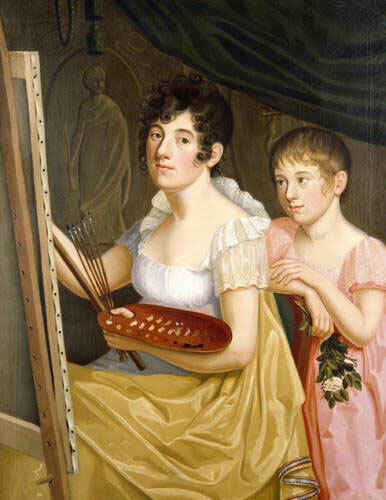 Not all salonnières were content to play the host role—Johanna Schopenhauer (the mother of the philosopher Arthur, here with her daughter Adele) was a significant writer with an extensive oeuvre. The salon is still regarded as a mysterious world of thoughts and ideas, a world in which the participants soon were consigned to the role of historical figures in history books. In the early days of the salon culture these meetings were incubators of new ideas as well as the first form an urban and bourgeois culture. The first salons were formed in Paris in the early 17th century, when the nobles left their estates and are gathered in the capital around the King. Initially, they cemented these early manifestations of bourgeois culture such as music and literature. But soon philosophers such as Voltaire and Diderot appeared in the 18th century and prepared the intellectual ground for the French revolution. In all major cities in Europe, it soon was common for ladies of high society to gather influential thinkers around them. Often, these were for their time radical gatherings, because those salons dissolved the rigid boundaries between social classes. With rational thinking of the Enlightenment, the reputation enjoyed by a person was measured in terms of intellect, not status or wealth. Berlin and Vienna were established, next to Paris, as cities of culture of the salon. But in small towns too, the intellectual life soon revolved around salons. The salons in Weimar were legendary, where Johanna Schopenhauer, the mother of the future philosopher, Arthur, and the Duchess Anna Amalia of Saxe-Weimar-Eisenach, counted Johann Wolfgang von Goethe and Friedrich Schiller among their guests. At the end of the 18th century, the revolutionary spirit was present in the salons of Caroline Schelling in Mainz. The Prussian military arrested Schelling in 1793 for her links to the Jacobins. At the same time England developed the first coffee house culture. In 1650, the first English cafe, called Grand Café, opened in Oxford. The open structure of the cafés had a tremendous effect on the culture of debate, but so did coffee and tea, the new drinks from the colonies. In a country in which the entire population at any time of day was drinking alcohol, the stimulant of caffeine acted as fertilizer for the burgeoning idea cultures. But it was mostly the lounges and cafes in Europe (and later America) that gave birth to the fundamental principle of progress and innovation, namely the network. Indeed, it was rarely the sudden Eureka-moments in the solitude of the laboratory of the study, that scientists and thinkers brought humanity from the dark times of the pre-modern era into the light of reason. It was the fierce debates held in the lounges and cafes that allowed the ideas behind these Eureka-moments to mature. The salon of the Duchess Anna Amalia was called "Garden of the Muses." In addition to her role as salonnière, the Duchess was also generous patron of Goethe and Schiller. No wonder that the nostalgia for these meetings between big thinkers is so strong today. With his 2010 film "Midnight in Paris", Woody Allen, the greatest of the urban romantics, created a cinematic monument to this nostalgia. As the American author Gil Pender roams the nighttime streets and alleys of Paris, he accidentally falls into a time portal and lands in the Paris of the 1920s. There, in the rooms of the writer and collector Gertrude Stein with walls covered in works of art, he meets Pablo Picasso, F. Scott Fitzgerald, Ernest Hemingway, Salvador Dalí and Luis Buñuel. This is a tribute to the small world of bohemians who gave birth to so many great things in the history of culture. This nostalgia fits perfectly in an age when the mass media abandon models of publications and programs to turn into networks with an infinite number of nodes. Facebook, Twitter and countless blogs and forums perfectly simulate this exciting exchange of ideas for an audience of billions. In terms of today's digital Weltgeist, there is already talk about the global salon, and a universal brain. Could it be that nostalgic interest in the salons of the past is a desire for more clarity to face the complexity of the networked future? In the digital era we might very well witness once again the phenomenon that Jürgen Habermas has called "structural transformation of the public sphere", the rise of a new bourgeoisie and mass society that began with the salons. There is no across-the-board answer to this question, that's impossible when the structural transformation of the digital age affects various spheres of the international community differently. In Europe and America, digital media always leads to new cul-de-sacs and roundabouts of communication. Social networks claim to be not only the successors of salons, they evoke the ominous metaphysical principle of the Weltgeist (global mind), while they actually reduce the principle of intellectual eruptions in salons to a de-intellectualized white noise. 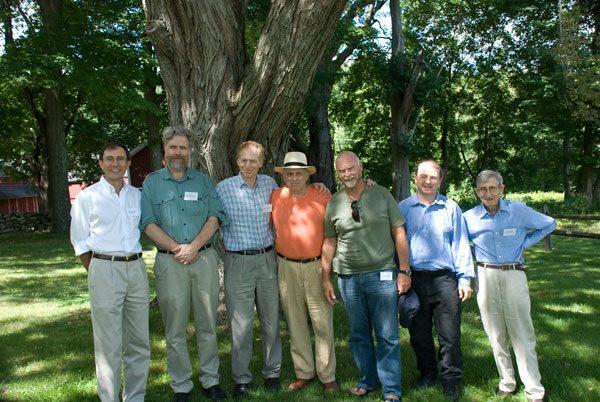 Salon of the 21st century: the literary agent John Brockman (Center, with Hat) in the circle of the scientists of the Edge network during one of his legendary weekends at Eastover Farm in Connecticut. In emerging and developing countries on the other hand, the use of digital media has indeed made Habermas's structural transformation of the public possible, in much the same way as in the Europe of the Enlightenment in terms of the salons and the early mass media. In countries like Iran, Egypt or the Ukraine, each change begins with dangerous ideas, because if ideas are to make a difference, they must be dangerous. This was no different in the early salons. If the great intellectuals and artists of the time met in the literary salons, it was by no means solely to discuss questions of aesthetics or literary forms. 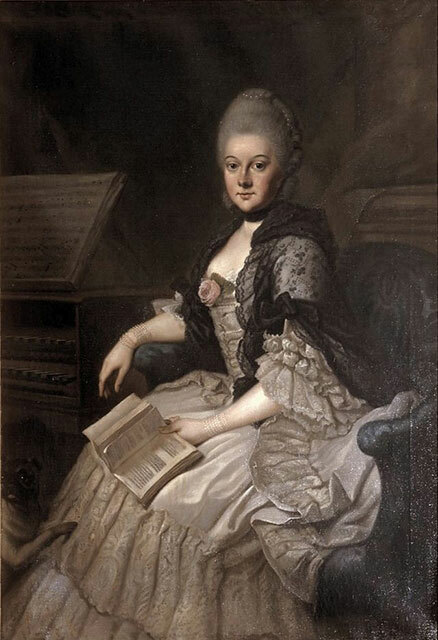 In the late 18th century salons of the woman of letters Caroline Schelling, for example, in Mainz and Göttingen, were collecting revolutionary spirits who took a stand in Paris, at the dawn of a new era that brought the demise of the monarchy. 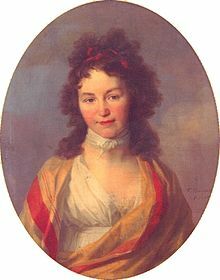 Caroline Schelling was arrested, slandered, vilified, but it did not change the fact that, under her leadership, the Jacobins eventually formed in Germany as well as a force opposing the monarchy and empire. This is the very reason that an autocracy such as China uses its power to promote the social concept of the individual, because a single individual cannot spread dangerous ideas. This fear of the power of networks also explains the unusually harsh persecution of religious communities. It's bad enough that faith calls into question the sovereignty of the party on thinking. However there is a danger for power is also lurking in the networks of churches and monasteries. Faith calls into questions the sovereignty of the party line of thinking and thoughts. Danger lurks for those in power in the networks of churches and monasteries. In the birthplaces of the enlightenment, in America and Europe, the current struggle for sovereignty over interpretation is not a political fight though—this has dissolved since the end of ideologies in countless, often regional micro-conflicts. Similarly, the battle between religion and science has been in play for a long time. Yet it is science that challenges the certainties. The Internet has the possibility to enlarge the circle of great minds that exchange ideas ad infinitum. To not get lost in the vastness of cyberspace, thinkers and creators have started to meet again on a regular basis for various new forms of salons like DLD; the Aspen Ideas Forum or the TED Conference. What started as an elite gathering of Silicon Valley pioneers thirty years ago has turned into a global forum of ideas, which are spread via internet videos of lectures and talks. Twice a year about a thousand scientists, artists, activist and entrepreneur come together in one place like Monterey, Vancouver, Oxford or Rio, to learn about new ideas "worth spreading" to quote the motto of the conference. In a lot of cases, such ideas will have an impact on the world for years on end. At this point, the memory of that summer day in Connecticut comes into focus, and the moment when the scientists asking questions about the origin of life talked about their research and projects. Craig Venter told of his plans to develop bacteria that could supplant fossil fuels as an energy source. George Church described the sequencing of the genome of the Mammoth. Dimitar Sasselov reported by his search for Earth-like planets. Seth Lloyd explained the unprecedented opportunities of the quantum computer. What, for the onlookers under the maple trees only a few years ago sounded like science fiction, is today, to a large extent, scientific reality. 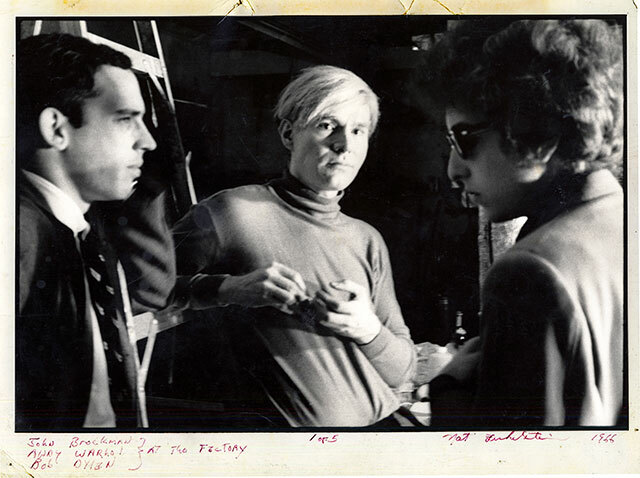 In the New York of the 1960s, hardly anyone understood the network of eccentric artist Andy Warhol, as seen here with John Brockman (left) and Bob Dylan (right) in the "Factory", a hybrid of salon, studio, and party room. Of course, John Brockman long ago put his salon online. Leading scientists, artists, prominent intellectuals, regularly meet on his edge.org website to have a conversation about the issues of our time. Annually, there is a concerted action in which he asks the entire network a big question. Eight years ago, the following was central issue for this salon culture: "What is your most dangerous idea?" More than a hundred responses were submitted and published. It reads like intellectual fireworks. In your own head, you quickly feel for yourself how ideas clash, release energy and generate new ideas. It is then that you experience the intellectual thrill that has always inspired the salons. In the meantime, Brockman's arena of ideas has sparked countless likeminded gatherings of all scales and fields. Conferences have been established as a distinct independent form of communication, because the network tends to be significantly more effective and fruitful beyond the Internet. Other than the observable external format, events such as the TED Conferences, the Aspen Ideas Festival, PopTech, or the Digital Life Design (DLD), have little in common with the congresses and meetings of old. They have long since become the new crucibles in the history of ideas. 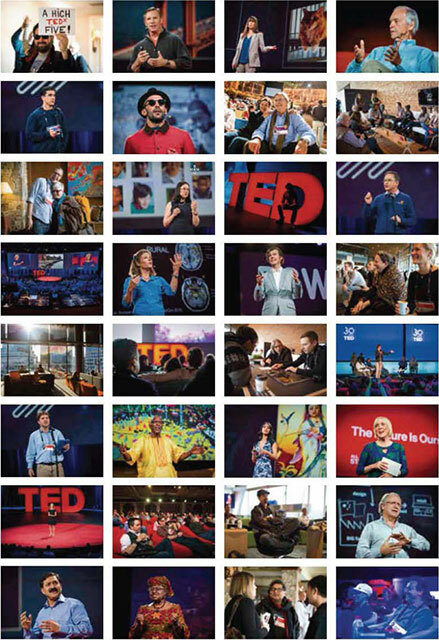 Especially the American TED Conference has shown in recent years the way in the salon of the 21st century can evolve. What started in 1984 as a meeting of Silicon Valley elites under the banner "Technology, Entertainment, Design", is now a global network that utilizes all channels of communication—conferences, online videos, books, TV, radio, blogs to make ideas blossom and develop on a global scale. Twice a year, a small circle from this large network meets in a cosmopolitan city ... in the spirit of the salons of yesteryear. 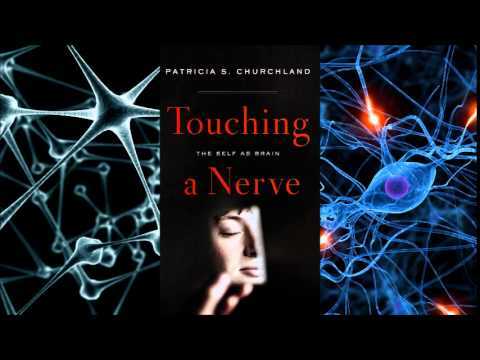 Patricia Churchland is the author, most recently, of Braintrust: What Neuroscience Tells Us about Morality (2012) and Touching a Nerve: Our Brains, Our Selves (2013). The latter book is the basis for her talk on free will, while the former is the basis for her 2014 Copernicus Center Lecture. I am not at all a fan of Churchland's reductionist materialism. Still, I find her work interesting and thought-provoking, if only in how her beliefs can be refuted. Patricia Churchland’s research focuses on the interface between neuroscience and philosophy. Although many philosophers used to dismiss the relevance of neuroscience on grounds that what mattered was “the software, not the hardware”, increasingly philosophers have come to recognize that understanding how the brain works is essential to understanding the mind. Patricia Churchland explores the impact of scientific developments on our understanding of consciousness, the self, free will, decision making, ethics, learning, and religion and issues concerning the neurobiological basis of consciousness, the self, and free will, as well as on more technical questions concerning to what degree the nervous system is hierarchically organized, how the difficult issue of co-ordination and timing is managed by nervous systems, and what are the mechanisms for the perceptual phenomenon of filling-in. 2014 Copernicus Center Lecture was delivered by Patricia Churchland, a well-acclaimed Canadian-American philosopher noted for her contributions to neurophilosophy and the philosophy of mind. Copernicus Center Lecture 2014 was held on May 22 in the Auditorium at the Larisch Palace (Faculty of Law and Administration, Jagiellonian University, Bracka Str. 12, Kraków). Copernicus Center Lectures is a series of lectures found by Copernicus Center with participation of the best scholars of our times. In previous years Copernicus Center Lectures were delivered by Francisco Ayala, sir Roger Penrose, Joseph LeDoux, George Ellis and Michael Heller. The Santa Fe Institute has posted the papers from their 2014 Complex Systems Summer School - and they have made the first batch of them (more to come) available online as a free PDF downloads. Links for contacting the authors are available at the SFI site (here). Proceedings from the 2014 Complex Systems Summer School are now posted, complete with a network map of the students’ collaborations. The students welcome comments and feedback. Included in the proceedings are an exemplary set of more than two dozen papers -- more than half of which are being considered for publication. Some of the topics: Can simple models reproduce complex transportation networks? What are the non-linear effects of pesticides on food dynamics? What role do fractals and scaling play in finance models? Pursue these and other compelling questions by visiting the CSSS proceedings on the alumni page of SFI's website. Paul Whiteley, who blogs at Questioning Answers (mostly on autism research), posted this intriguing research summary from Progress in Neuro-Psychopharmacology and Biological Psychiatry on the relationship between the "gut-brain axis" and schizophrenia, which is not a new avenue of research, but is nonetheless still considered a fringe notion in the mainstream schizophrenia research. It only makes sense that if we have an unhealthy microbiome (enteric nervous system), which we already know can cause depression, disease, and cognitive issues (a major symptom cluster in schizophrenia is cognitive distortion), then the entire system is at risk. The full article is, of course, paywalled, but Whiteley offers a good, though too brief for me, summary of the study; and I have included the abstract from the original article. A micropost to direct your attention to the recent paper by Katlyn Nemani and colleagues  titled: 'Schizophrenia and the gut-brain axis'. Mentioning words like that, I couldn't resist offering a little exposure to this review and opinion piece, drawing on what seems to be some renewed research interest in work started by pioneers such as the late Curt Dohan . The usual triad of gastrointestinal (GI) variables - gut barrier, gut bacteria and gut immune function - are mentioned in the article, concluding that: "A significant subgroup of patients may benefit from the initiation of a gluten and casein-free diet" among other things. Not a million miles away from related suggestions when it comes to something like the autism spectrum disorders (ASDs) (see here) bearing in mind the concept of overlapping spectrums (see here) and the [plural] schizophrenias. I'm also minded to hat-tip another research team including Emily Severance and colleagues who are going great guns when it comes to the whole GI-food link in cases of schizophrenia and beyond (see here for my recent discussion of some of her work). Another of her quite recent papers  on cerebrospinal fluid (CSF) levels of antibody response to wheat gluten and bovine milk in first-episode schizophrenia represents another master-class of research in this area. Their suggestion of potential evidence for a leaky blood-CSF barrier is something else which might stimulate further research in this area including some mention for the molecular handyperson that is melatonin among other things to "protect against blood-brain barrier and choroid plexus pathologies". Such findings might also be relevant for other CSF issues reported with schizophrenia in mind (see here). And whilst we're talking all-things biological membrane permeability and schizophrenia, I'll also link to the paper by Julio-Pieper and colleagues  (open-access) reviewing some of the evidence on the 'controversial association' between intestinal barrier dysfunction and various conditions (also covering some of the literature with autism in mind too). Mainstream here we come? Dohan FC. Cereals and schizophrenia data and hypothesis. Acta Psychiatrica Scandinavica. 1966; 42: 125–152. Severance EG. et al. IgG dynamics of dietary antigens point to cerebrospinal fluid barrier or flow dysfunction in first-episode schizophrenia. Brain Behav Immun. 2014 Sep 17. pii: S0889-1591(14)00462-0. Julio-Pieper M. et al. Review article: intestinal barrier dysfunction and central nervous system disorders - a controversial association. Aliment Pharmacol Ther. 2014 Sep 28. The microbiota composition may impact the gastrointestinal barrier, immune regulation, and metabolism seen in schizophrenia. Several risk factors for the development of schizophrenia can be linked through a common pathway in the intestinal tract. 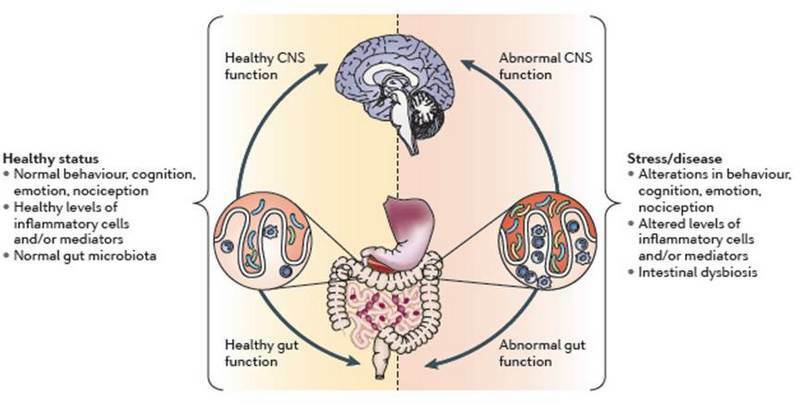 It is now increasingly recognized that bidirectional communication exists between the brain and the gut that uses neural, hormonal, and immunological routes. An increased incidence of gastrointestinal (GI) barrier dysfunction, food antigen sensitivity, inflammation, and the metabolic syndrome is seen in schizophrenia. These findings may be influenced by the composition of the gut microbiota. A significant subgroup of patients may benefit from the initiation of a gluten and casein-free diet. Antimicrobials and probiotics have therapeutic potential for reducing the metabolic dysfunction and immune dysregulation seen in patients with schizophrenia.